The S&P Energy Sector index rose about 1.5% today as crude continued to rally on worries that there will not be enough supply to make up for a loss of Iranian exports. 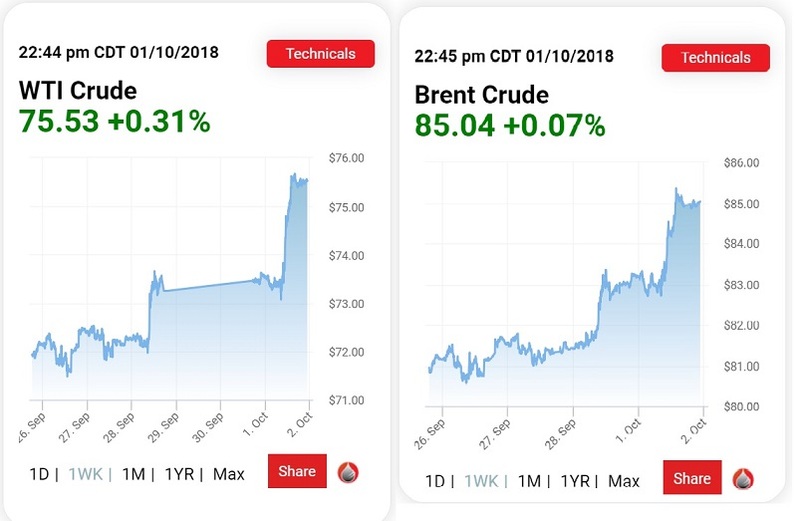 To-date, both Brent and WTI are up about 25%, on average year to date, on worries that neither the combined forces of Russian and Saudi Arabian production or the sheer dynamism of U.S. shale, which flooded the world with cheap oil between 2014 and 2017, will be enough to counter the projected global shortfall in supply from November. Many analysts now think $100 for Brent might be possible by the year end or in early 2019.